Sixty-nine percent of organizations reported a recent insider data exfiltration attempt. Yet identifying user-based threats are often difficult to monitor because they originate from trusted insiders. You need to detect and respond to user-based threats quickly — before damage or loss of data occurs. For many security operation teams, user and entity behavior analytics (UEBA) is the answer. But what is UEBA, and how exactly does it help? In this white paper, you will discover how to better protect your organization from user-based threats — whether unintentional or deliberate — by applying a UEBA solution. You will also gain an understanding of the ways in which users introduce risk and how UEBA can help you respond more quickly to threats and attacks. 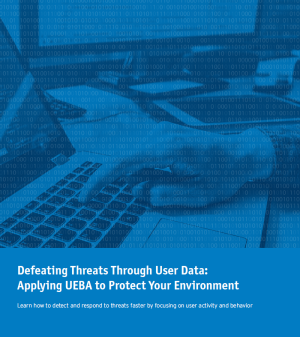 Complete the form to download the white paper and learn how your team can use UEBA to arm your organization against user-based threats.